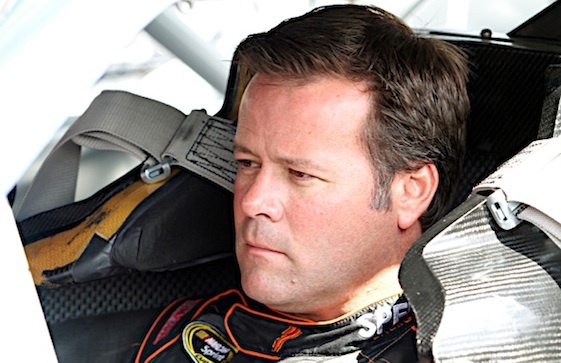 DAYTONA BEACH, Fla. – Robby Gordon parlayed earning a berth into this weekend’s Daytona 500 into a rare opportunity to hold court with the media on Thursday. And the maverick racer didn’t disappoint when it came time to offer his opinion on a variety of topics. Despite nailing down a starting position in NASCAR’s most prestigious event, Gordon carried the banner for his and other underfunded teams in the garage by criticizing the fact that part-time driver Terry Labonte was awarded a past champion’s provisional. “When you look at it, besides pure speed, I think three guys make it on speed and, obviously, Terry takes a past champion. I disagree with that,” Gordon said. “Obviously, I’ve got a lot of respect for Terry. This is not a Terry Labonte thing. But only eight cars (outside of the top 35 in owner points) make the Daytona 500. 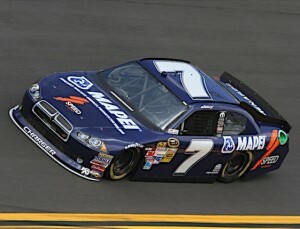 He takes one of those spots, now seven guys make the Daytona 500. Four make it on qualifying races, three make it on speed. “We’re a small team, too. I guess I should hire (former Cup champion) Kurt Busch and I could put my other car in the show, too. It’s just not right. Why take a free ride when the rest of us have to bust our butts to get into the 500? When asked about the size of his team, Gordon didn’t hesitate to make known the financial woes he and other teams face as they struggle to find adequate corporate funding. “Do you want to count the receptionist, parts lady/merchandise sales? Do you want to talk about the marketing guys or the person that makes the decals part-time? We’re down to seven or eight guys now,” he said. “It’s not like there’s not good guys out there. It’s the fact there’s no sponsors out there. Without sponsors, you can’t hire people. Realizing he will be assured of a quarter of a million dollars payday just for starting Sunday’s race, Gordon said he’d be willing to go ahead and spend much of his upcoming windfall in return for his car being competitive in the 500. “At Talladega (last fall) with the Penske motor, we were strong,” said Gordon, who raced with an engine built by Joey Arrington on Thursday. “I don’t know if Roger is going to give us one. I know he’s not going to give us one, but we’ll pay for one. But if we can get one of their backup motors, we’ll be better for the race. “Now we made the race, you’re going to get 260 grand, I’ll write a big check to Roger to get a motor. It’s not like you keep the money at the end of the day in this sport. As the session ended and the microphones and cameras were turned off, Gordon offered one final parting shot as he headed for the exit when asked if he’d be willing to sell his ride for Sunday’s 500 to Michael Waltrip. I like your approach to this issue in that it was not just slanted that Robbie was grousing about the past champion provisional, rather that it makes fiscal sense to a small team when a quarter million dollars are on the line. I understand that the past champion provisional was originally the “Richard Petty Rule” when he found himself not getting into some reaces when he was still a big draw for the sport. Likewise I get the top 35 rule. That said, if I was King of the World the rule would be fastest 43 drivers make the field. Period. I like the whole pagentry of speed weeks with time trials then the Duel races and would keep that intact. But hey, if Johnson, Earnhardt, Edwards or Busch either wrecked or could not get the speed, see you next week. I really don’t like the protectionist “35 and 8” deal – especially for the Daytona 500. It should be 1. The top two from pole day. 2. and then the top 14 from each of the Duels, regardless of points, 3. the top three from pole day, not locked in and finally 4. Those last 10 spots from the top 35 and / or top qualifying speeds oit of the top 3. They had the similar protect our own, “25 and 8” rule in the IRL and it sucked!